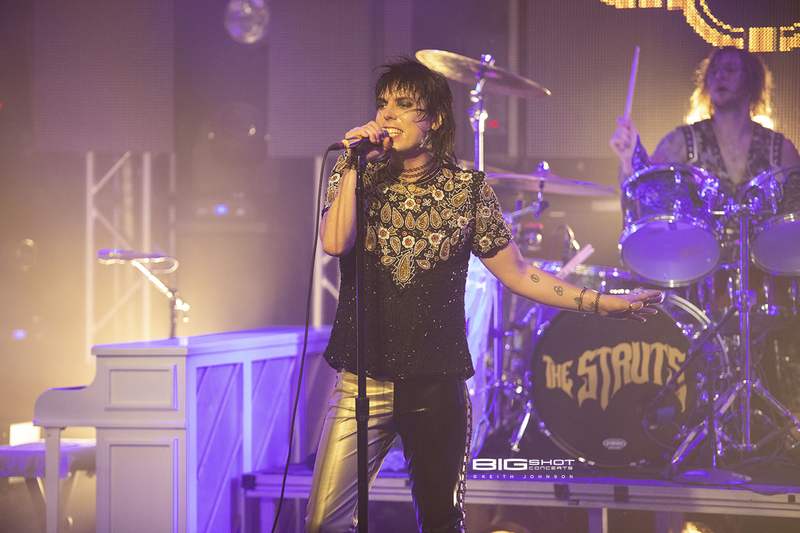 Glam rockers The Struts got down and dirty with plenty of swagger and confidence during their concert at Culture Room in Ft. Lauderdale, Florida. 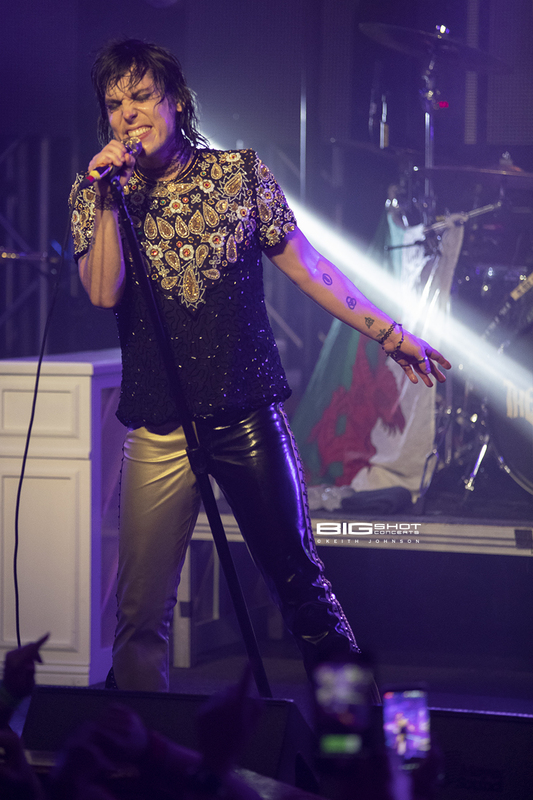 The flamboyant band from Derby, UK started on fire and got hotter as the show went on. 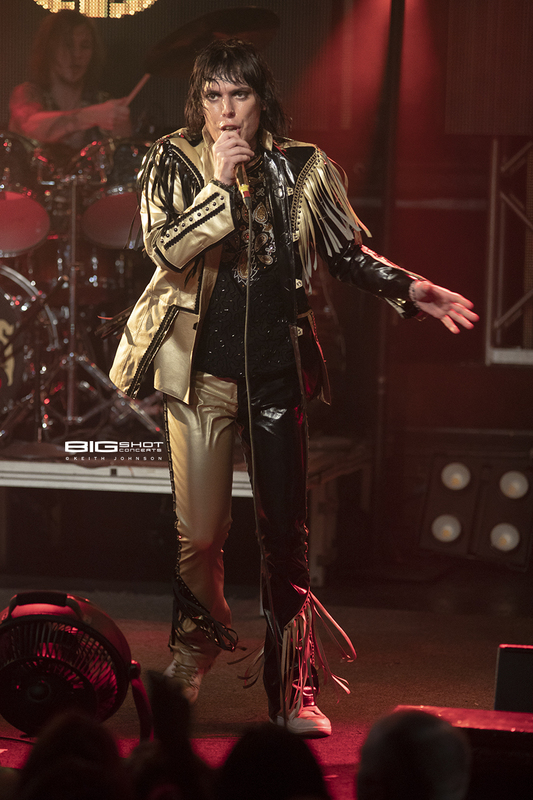 They had one speed — overdrive and rocked the venue with fast paced songs that gave fans little time to catch their breath before the next catchy tune began. and Gethin Davies – Drums. 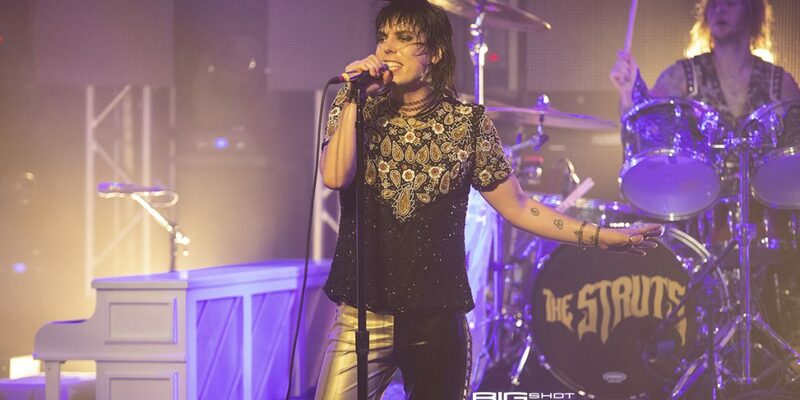 Lead singer Luke Spiller of The Struts. 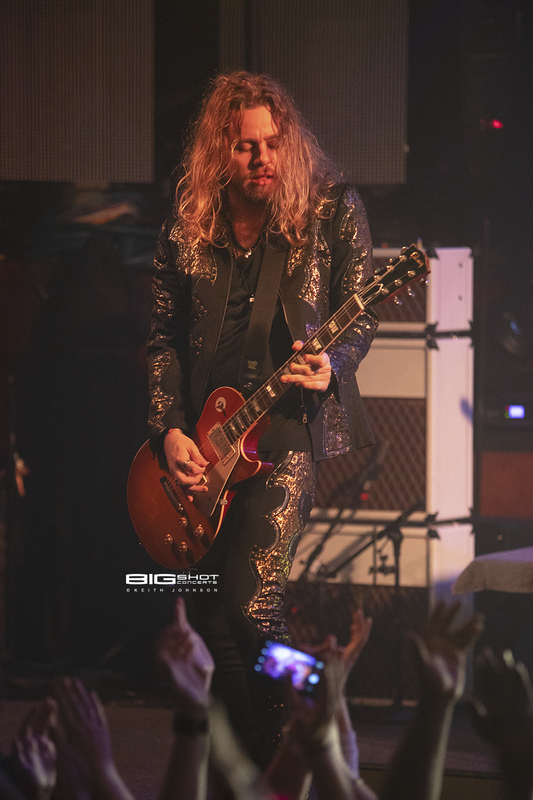 Guitarist Addo Slack of The Struts. 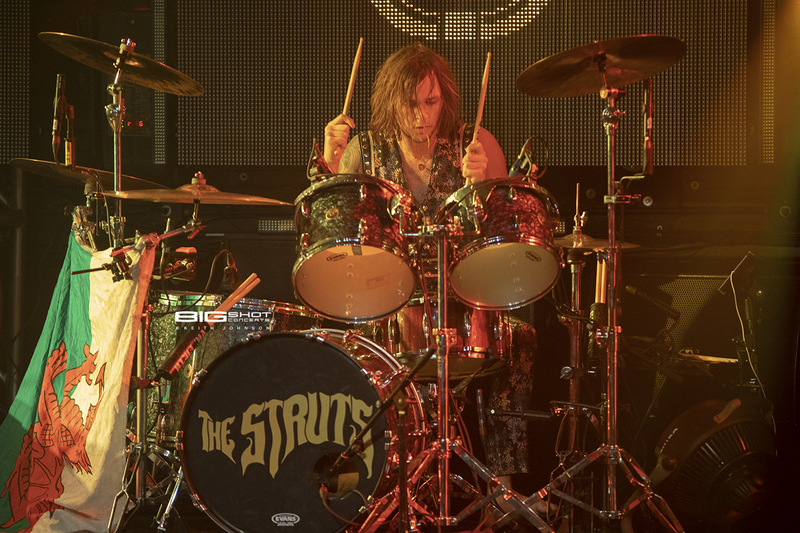 Drummer Gethin Davies of The Struts. 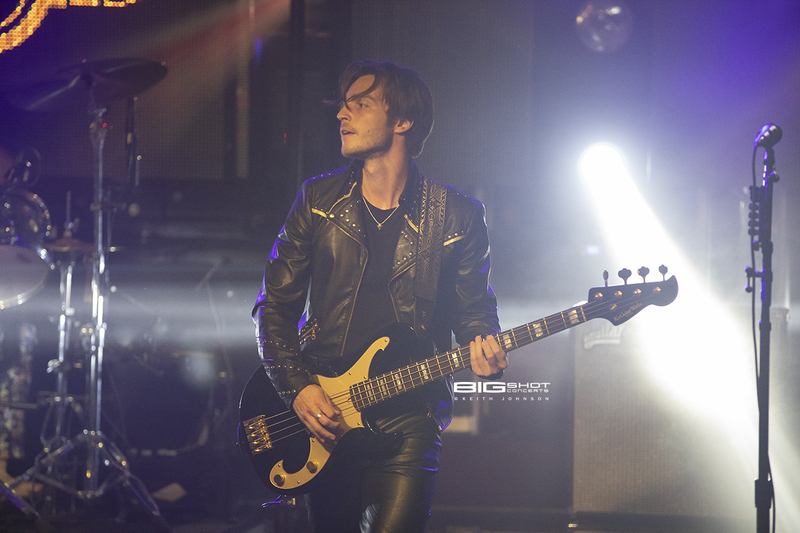 Bass player Jed Elliott of The Struts. 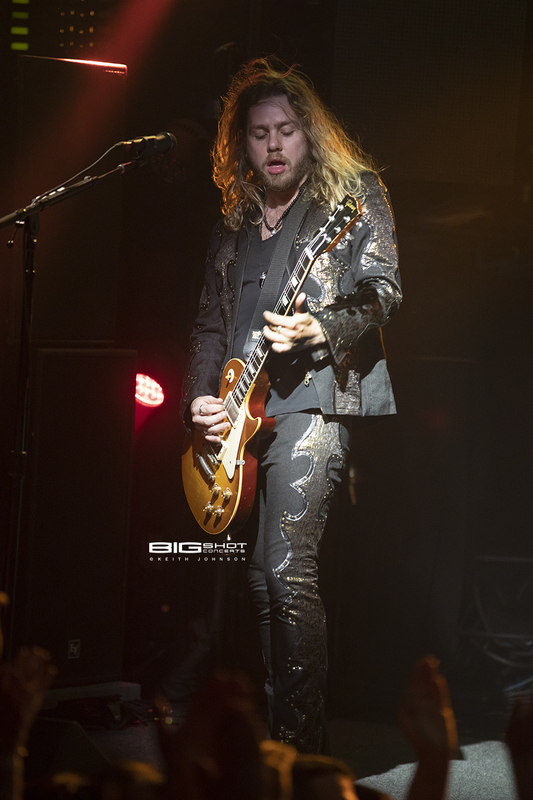 Concert photo - The Struts lead guitar player. 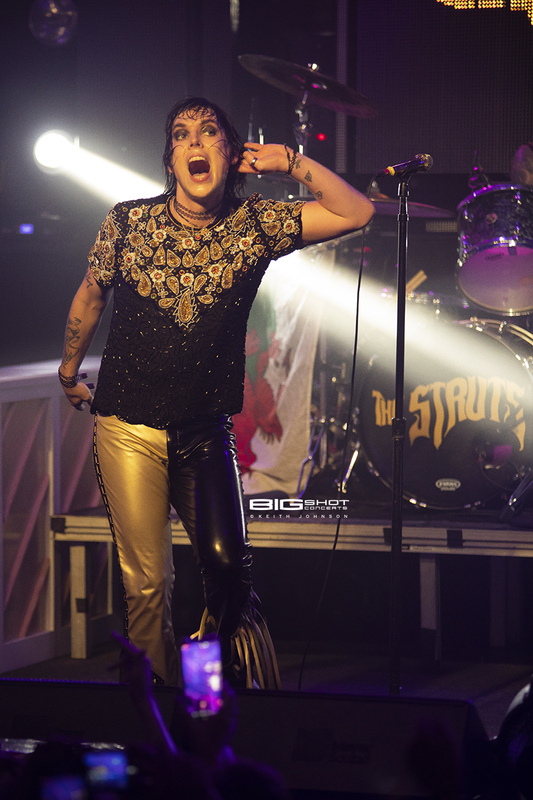 Concert photo - lead singer of The Struts. 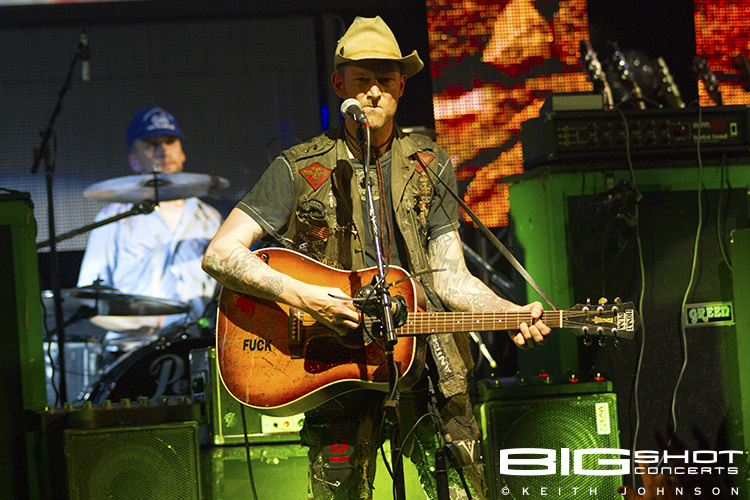 Musician Jed Elliott at Culture Room. 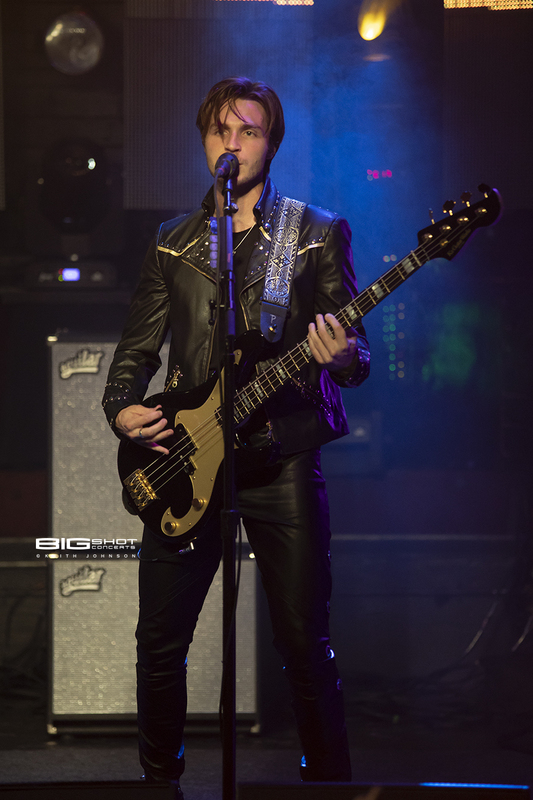 Concert photo - bass player of The Struts. Luke Spiller on stage at Culture Room. Gethin Davies Keeping the Beat at Culture Room. 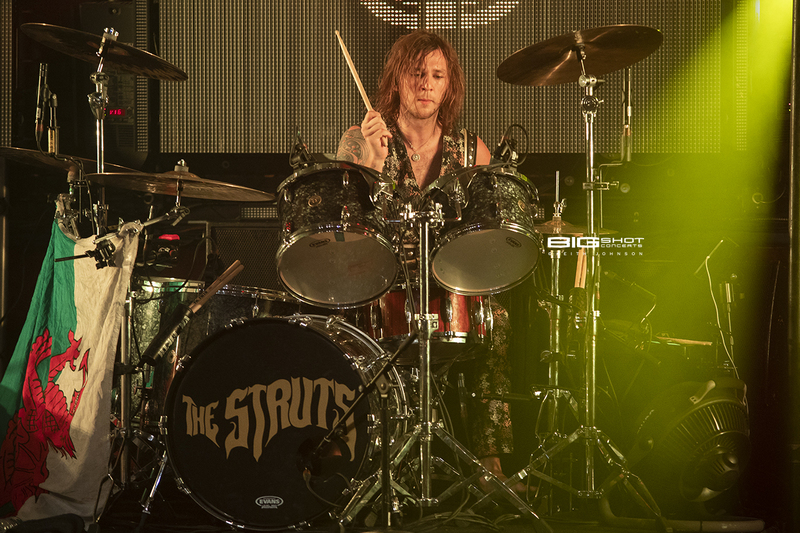 Concert photo - drummer of The Struts. Luke Spiller sings in stage at Culture Room.